The Chairman presents his statement for the year. On 3rd May 2007, Madeleine McCann was abducted in Praia da Luz, Portugal. The events of that day touched the heart of many, in countries around the world. Donations started to flood in. In response to this, Madeleine's Fund was established.The aims of the Fund are to help find Madeleine, to support her family and to bring her abductors to justice. Any surplus funds will be used to help families and missing children in similar circumstances in the United Kingdom, Portugal and elsewhere. The Fund has 7 directors. Last year I referred to the public apology made to Madeleine's parents, Kate and Gerry, by the Express Group following months of inaccurate speculation and accusations in the media. Other newspapers followed suit with accompanying donations to Madeleine's Fund. In addition, an apology was made to the friends of Gerry and Kate who were in Praia da Luz at the time of Madeleine's abduction. Rather than accepting libel damages, the friends requested that a donation was made to the fund. This has enabled us to continue our search for Madeleine. On behalf of the directors of Madeleine's Fund, I thank Kate, Gerry and their friends for continuing to forego any personal financial recompense to ensure that the search for Madeleine continues. Following the end of the financial year we were delighted to hear that Madeleine's parents, brother and sister had been successful in obtaining an injunction banning sales of Mr Amoral's [sic] book and banning him from repeating his claims. These fabrications had hindered the search for Madeleine and were a barrier to potentially valuable information being passed on to the police. Our team of investigators continue to diligently review police files, witness statements and follow up every potential lead in the search for Madeleine. Although the majority of donation income for the year arose from family and friends donating libel damages, we have a number of loyal donors continuing their support. For this we are grateful. As expected, income in the new financial year is lower than last year and we continue to review all our expenses to ensure value for money. The directors regularly discuss the strategy for the Fund to ensure that finances are available to achieve our main objective, finding Madeleine. The Board of Directors would like to take this opportunity to thank everyone who has supported the search for Madeleine. The level of financial support, the amount of time given up and the numerous messages of support sent to Madeleine's family have been overwhelming. All messages of support sent to the Fund are passed to Gerry and Kate, and appreciated by them. We will continue to ensure that Madeleine is not forgotten and will leave no stone unturned in our search for her. The directors present their report and the financial statements for the year ended 31 March 2009. • To provide support, including financial assistance, to Madeleine's family. • If the above objects are fulfilled then the objects of the Foundation shall be to pursue such purposes in similar cases arising in the United Kingdom, Portugal or elsewhere. "The risks that Madeleine's Fund faces are assessed for both the likelihood of occurrence and the impact on the organisation should they occur. In order to achieve its objectives Madeleine's Fund must accept a certain amount of risk taking. An important part of the risk management strategy must be to be clear at an organisational level about the types and levels of risk the organisation is prepared to take. Therefore, the identified risks are also assessed for the organisation's attitude." Current controls in place to mitigate each risk were identified, together with additional controls required. The resulting risk register will be reviewed annually. • prepare the financial statements on the going concern basis unless it is inappropriate to presume that the company will continue in business. The directors are responsible for keeping proper accounting records which disclose with reasonable accuracy at any time the financial position of the company and to enable them to ensure that the financial statements comply with the Companies Act 1985. They are also responsible for safeguarding the assets of the company and hence for taking reasonable steps for the prevention and detection of fraud and other irregularities. • the directors have taken all steps that they ought to have taken to make themselves aware of any relevant audit information and to establish that the auditors are aware of that information. The auditors, haysmacintyre will be proposed for re-appointment in accordance with section 485 of the Companies Act 2006. 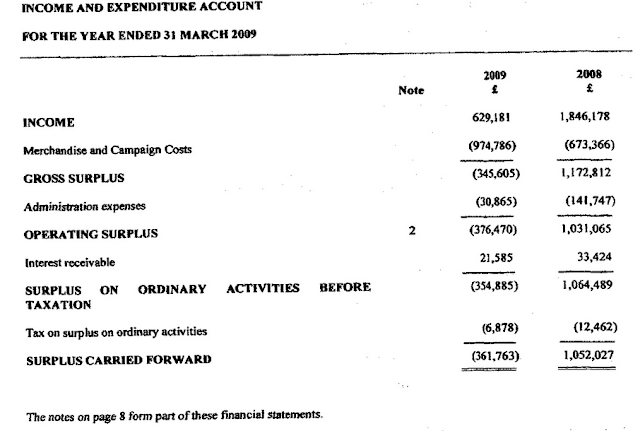 We have audited the financial statements of Madeleine's Fund: Leaving No Stone Unturned Limited for the year ended 31 March 2009, set out on pages 6 to 8. 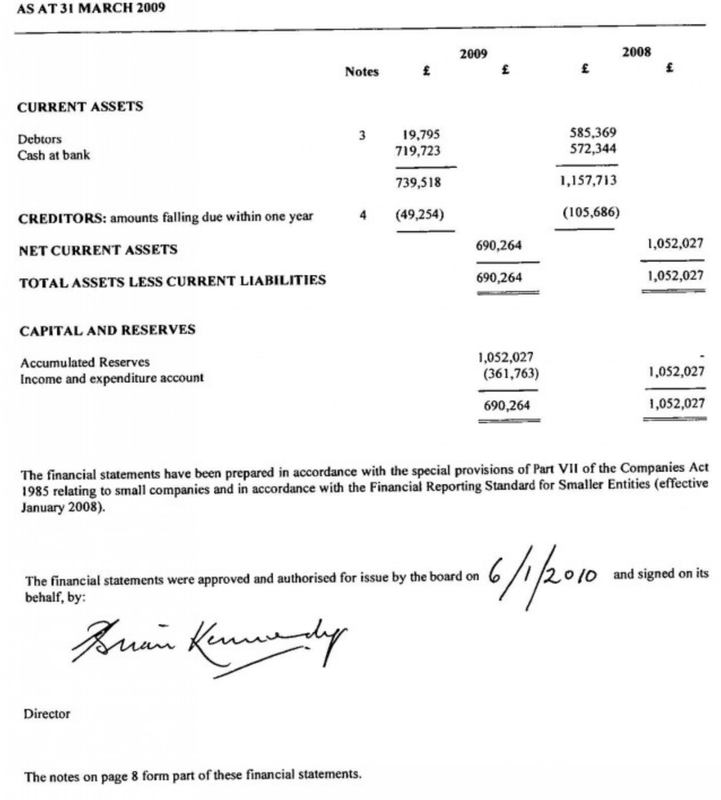 These financial statements have been prepared in accordance with the accounting policies set out therein and the requirements of the Financial Reporting Standard for Smaller Entities (effective January 2008). The directors' responsibilities for preparing the annual report and the financial statements in accordance with applicable law and United Kingdom Accounting Standards (United Kingdom Generally Accepted Accounting Practice) are set out in the statement of directors' responsibilities. Our responsibility is to audit the financial statements in accordance with relevant legal and regulatory requirements and International Standards on Auditing (UK and Ireland). We report to you our opinion as to whether the financial statements give a true and fair view and are properly prepared in accordance with the Companies Act 1985. We also report to you if, in our opinion the information given in the directors' report is consistent with the financial statements. In addition we report to you if, in our opinion, the company has not kept proper accounting records, if we have not received all the information and explanations we require for our audit, or if information specified by law regarding directors' remuneration and other transactions is not disclosed. We read other information contained in the annual report and consider whether it is consistent with the audited financial statements. This other information comprises only the directors' report, the chairman's statement and the operating and financial review. We consider the implications for our report if we become aware of any apparent misstatements or material inconsistencies with the financial statements. Our responsibilities do not extend to any other information. We conducted our audit in accordance with International Standards on Auditing (UK and Ireland) issued by the Auditing Practices Board. An audit includes examination, on a test basis, of evidence relevant to the amounts and disclosures in the financial statements. It also includes an assessment of the significant estimates and judgements made by the directors in the preparation of the financial statements, and of whether the accounting policies are appropriate to the company's circumstances, consistently applied and adequately disclosed. 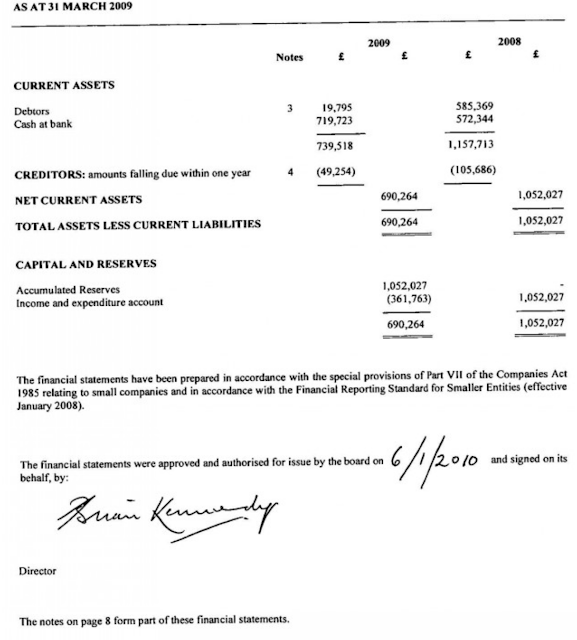 We planned and performed our audit so as to obtain all the information and explanations which we considered necessary in order to provide us with sufficient evidence to give reasonable assurance that the financial statements are free from material misstatement, whether caused by fraud or other irregularity or error. In forming our opinion we also evaluated the overall adequacy of the presentation of information in the financial statements.